Halloween season is just around the corner, and you know what that means... Halloween polish collections! 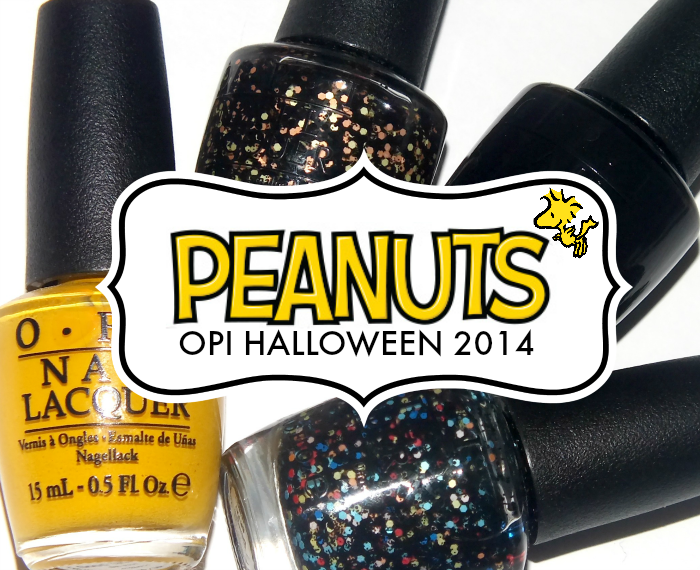 This year OPI was inspired by the famous Peanuts Halloween special 'It's The Great Pumpkin, Charlie Brown!' and have created a four piece limited edition collection that features two cremes and two seasonal glitters. Read on for a peek! Good Grief is a warm, medium yellow cream of the same hue as Charlie Brown's classic sweater. The polish does have super fine shimmer, but it's almost undetectable, so this is still a cream when you get down to it. Formula was okay, but did suffer from typical yellow streaks and patchiness. Three coats. To Be or Not To Beagle is a mix of small black glitter and bar glitter with a mix of multi-coloured medium size hex pieces in a clear base. I always have a soft spot for black glitter, but didn't expect to like this as much as I do. 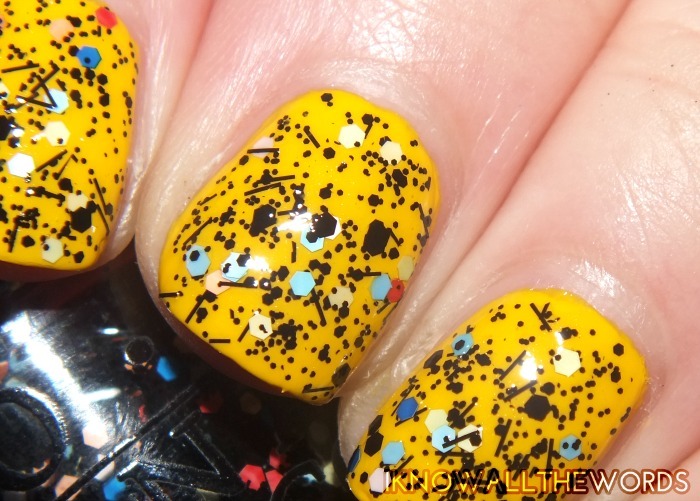 It gives a sort of graffiti like look on the nail and is a shade that can easily be worn after Halloween. One coat patted over Good Grief. 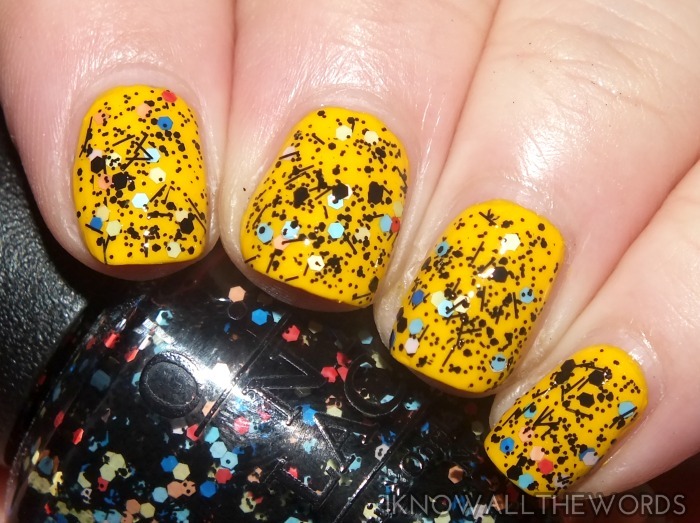 Where's My Blanket is a mix of small black glitter with medium pale yellow, pale orange, and black hexes in a clear base. This shade is the most obviously Halloween, what with the orange and black, but can work for other occasions. One coat patted over OPI Alpine Snow. Who Are You Calling Bossy?!? is a classic black cream. Before you pass it over, it is a gorgeous, glossy black and the formula is pretty great too. I used two coats, but this could easily be one. Good stuff! Overall, this is a fun collection. I like that the shades aren't obviously Halloween-y and can be worn all year. What do you think? Need any of them in your stash?